When 55 year old John Serro built his first Scotty trailer in his Irwin, Pennsylvania barn in 1956, it went off with less than a bang. 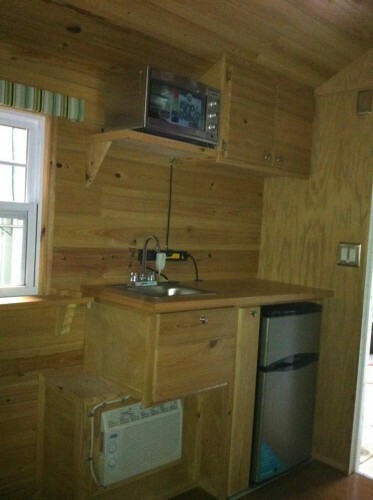 The 16 1/2 foot trailer with many amenities found in a modern house didn’t attract the attention of dealers. However, that didn’t deter Serro, who had just retired from his three car dealerships. 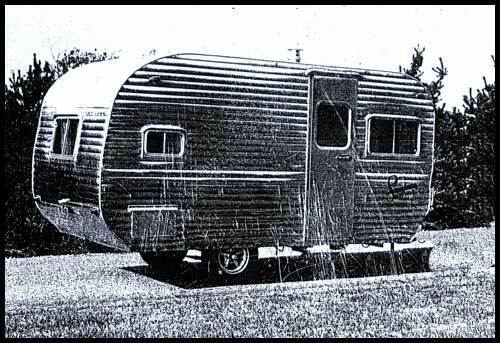 He went back to the drawing board and created a 10′ teardrop trailer called the Sportsman, Jr in 1957. Over the next 3 years, over 200 Sportsman Jr’s were produced, and it can be credited with the start of a 40 year run of one of America’s most iconic names in the RV industry. This is just a sampling of what you’ll find in a new book from writer and Serro Scotty owner, Paul Hecht. 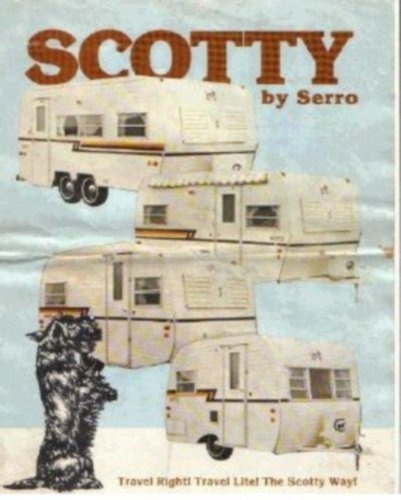 The book, titled Serro Scotty Travel Trailers is a softbound, 128 page history of John Serro’s dream. 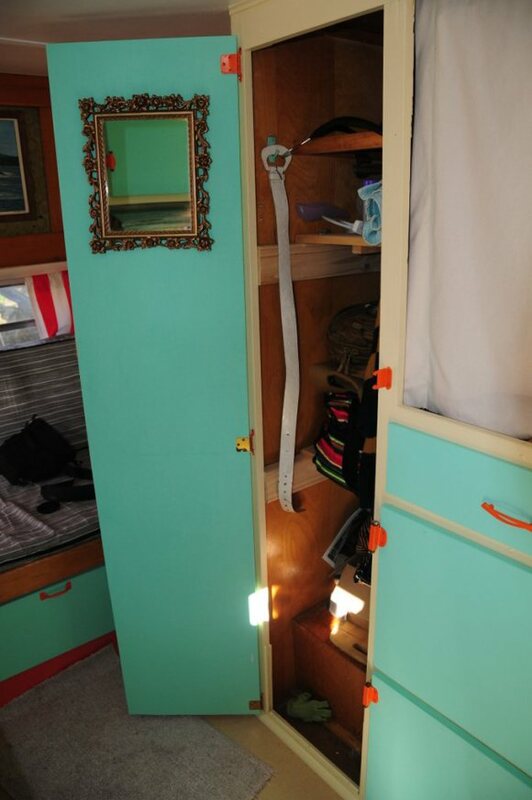 Serro Scotty Travel Trailers is laid out very well. 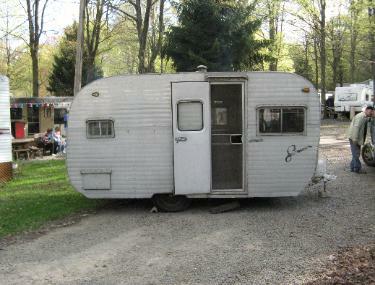 The author starts out painting a vivid picture of how he became hooked with camping and trailers when he first laid his eyes on his Grandpa Louis’ 1973 Argosy, which led him to buy his own pop-up trailer while in college. He concludes his introduction with the story of how he became a Serro Scotty owner, which ultimately led him to write the book. Following the introduction, the chapter detailing how John Serro became a successful travel trailer manufacturer gives us a good overview of the history of the company. 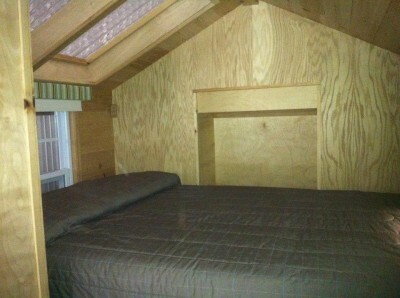 He then moves on to cover Serro’s 1963 camping playground built for only his trailers: Scottyland, USA. 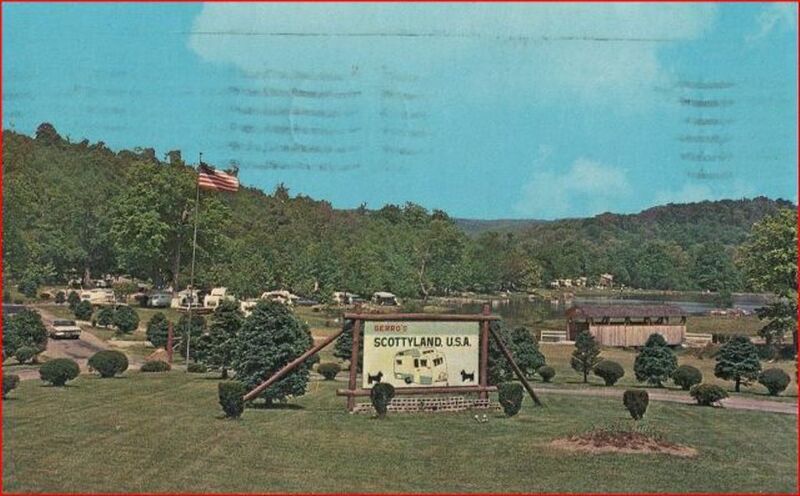 Nestled on 300+ acres in Pennsylvania’s Laurel Highlands, Scottyland USA was an exclusive RV park for Scotties and their owners. 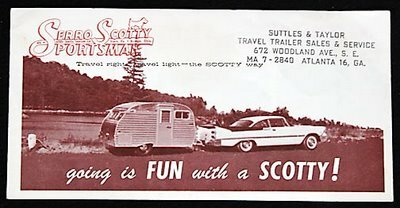 However, as years passed and fewer Scotties were on the road, Scottyland USA rebranded itself as Scottyland Camping Resort, and to this day accepts any and all brands of RVs. 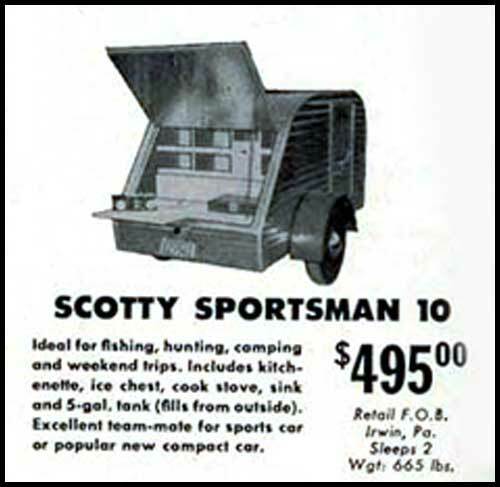 However, for you travel trailer historians, that first Scotty we mentioned above is still on display at Scottyland. After providing images of several vintage Scottyland brochures and “Scotty Trails” newsletters, the next chapter presents a two page timeline of various company milestones during specific years. It’s at this point where Serro Scotty Travel Trailers hits it out of the park with nearly 70 pages of vintage ads and brochures from nearly every era from the late 1950’s all the way up into the 1990’s when the company ceased building travel trailers after the devastating fire at the plant in Irwin, PA in 1997. The book closes out with roughly 30 pages of photos of current Scotties and their owners. Overall there wasn’t a lot to argue about with this book. 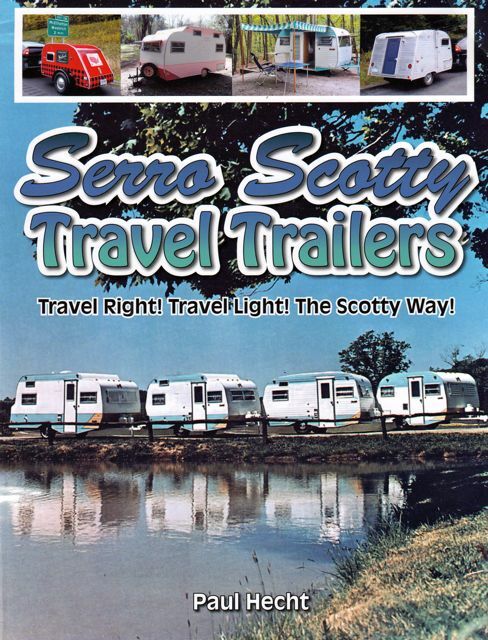 Aside from a paragraph on page 7 that repeats itself and possibly the $34.95 retail price for a 128 page softbound book, I still think Serro Scotty Travel Trailers is a book all trailer fans should have on their coffee table. However in regards to price, the book was printed in the United States. Many books on the market are being printed in China to keep their costs down. So if you’re a “Buy American” type, this is another reason to pick it up. You can also currently find it much cheaper on Amazon ($24.96), so there are some avenues out there to pick it up on the cheap. 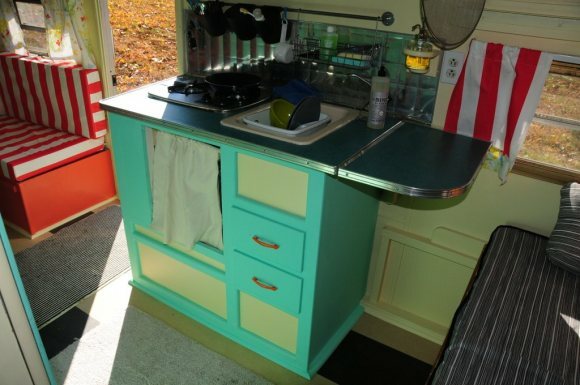 Last fall I came in contact with Mariah Pastell, who at the time was in search of some vintage trailers to be borrowed for a museum opening exhibit in Vermont. 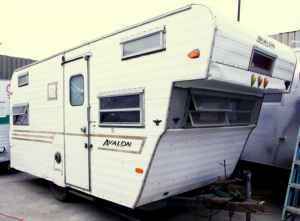 In the process of my communication with her, I discovered she was also in the midst of restoring a 1960’s era Avalon travel trailer that she had purchased in the New York City area. But her story goes a little farther than just a restoration job: It’s how she is restoring it. 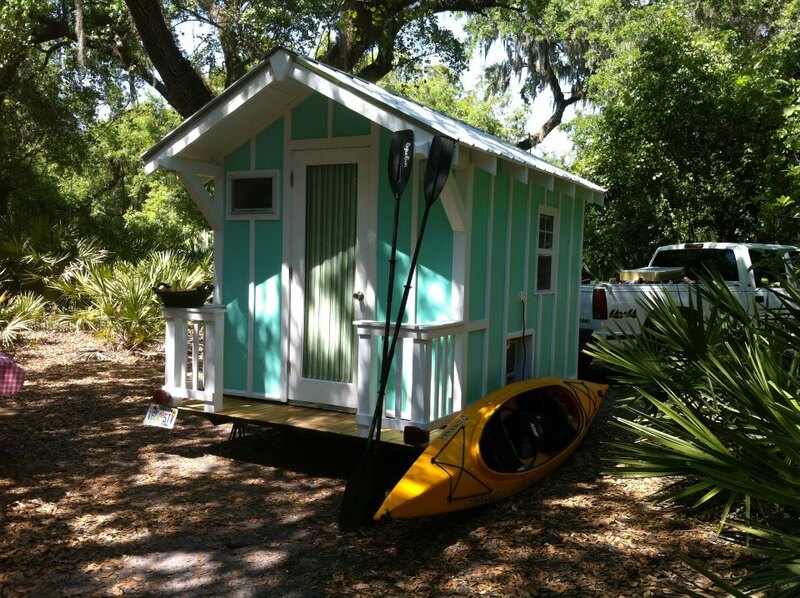 Mariah is heavily involved with with “tiny house” style of living, which are small houses that might be around 100 square feet that have most of the amenities needed to make it livable, such as this example from Trekker Trailers. 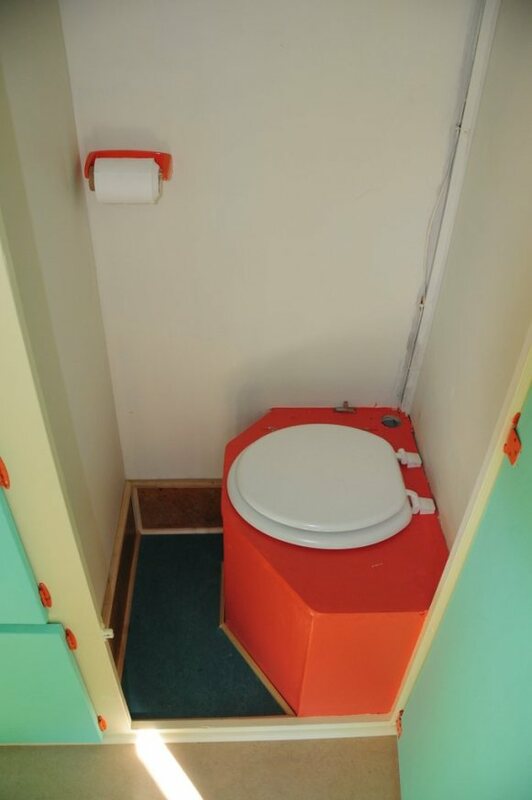 The COMET includes a solar shower, hand pump faucet, LED lighting, a waterless composting toilet, 555 watts of solar power, and a “bumper garden” that is watered from rainwater that is diverted from the roof of the COMET. Much of the material used in the COMET is re-purposed, but if new, she takes great strides to see that it is environmentally friendly. Mariah has a passion for having a small (if non-existent) carbon footprint. While most major RV manufacturers tout their units as being “green”, I think they’d have a lot to learn from someone like Mariah, just in her early 20’s.